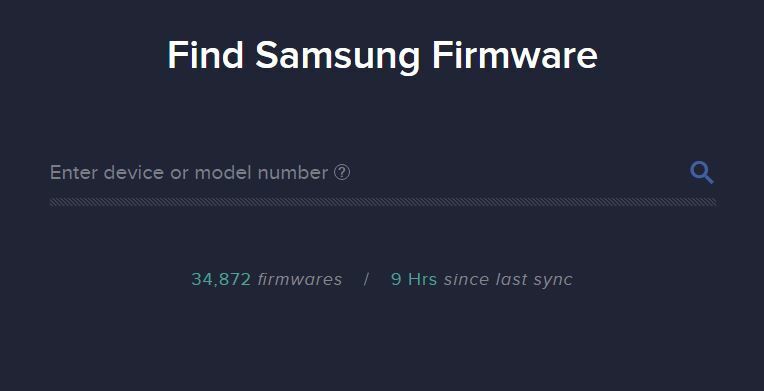 Now you can Download Samsung Firmware directly from the Samsung Servers, no need to search for the links on the blogs or forums. Now you can create Samsung firmware download link by yourself. With this way, you can easily find the latest Android update for your Galaxy Android devices. Here in this guide, we will show you the three different way to search the latest Samsung firmware for your phone. If you are the rooted Samsung user then you always need a full firmware file to flash it on the phone. 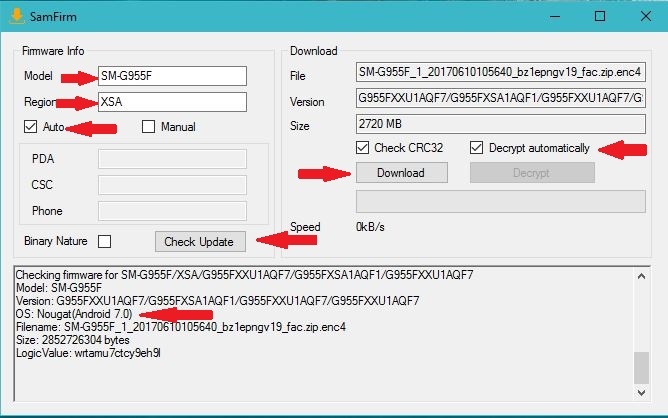 Now with the help SamFirm tool, you can easily download Samsung firmware for your phone. All you have to fill up some details about your phone is the application and within a second it will find the latest update for your Samsung phone. Searching the latest firmware file for Galaxy phones is not a difficult task, you can find so many forums and blog in which you can find the link to the latest update. But sometimes those links are broken and sometimes you are not sure that this firmware is for your phone or not. At that time, this Application helps you to find the right update for your phone. 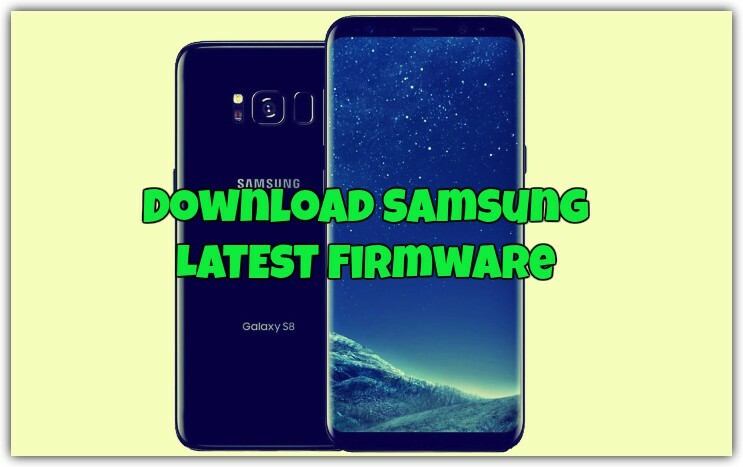 As per the developer of this application, you can download the latest firmware for your Samsung phone directly from the Samsung servers without any speed restrictions. To use this tool all you need the model number of your phone and region code. If you don’t know the model and region code of your Samsung phone, then install this free Android app to get Region code and other info of your Android phone. We tested this application on our desktop and within a seconds we find the firmware for our Galaxy S8 phone. 1. Visit this link and download the latest version of the SamFirm app on your desktop. 2. Now unzip the folder on your desktop and you will some file in the SamFirm folder. 3. Run the SamFirm.exe from this folder to run this app on your desktop to search the latest firmware for your Samsung Phone. 4. Now fill all the details of your phone like Model Number and Region code. Check the Auto option in the app and hit the “Check Update” option to find the latest firmware. 5. Now hit the Download button to download the file on your desktop. 6. Now extract the folder on your desktop and use the ODIN flash tool to install the update on your phone. Just enter the model number of your phone and BOOM. You will find the latest update for your Samsung Android phone. The best thing about this website is that there are no download or speed restrictions. All firmware are Samsung-official and all of them are the updated one. This one is the third way to download the firmware. Visit this page and enter the model number of your phone and you will see the list of the latest update. But make sure that you download the right file for your device, so do check the country region before downloading. So with this three ways, you find the correct latest official firmware for your Samsung phone. You can also check our detailed guide to install the latest update on Samsung Devices. Hope you like this guide, Follow us and share us on Social media. Three awesome methods to find samsung firmware, but still my favorite is samsmobile.